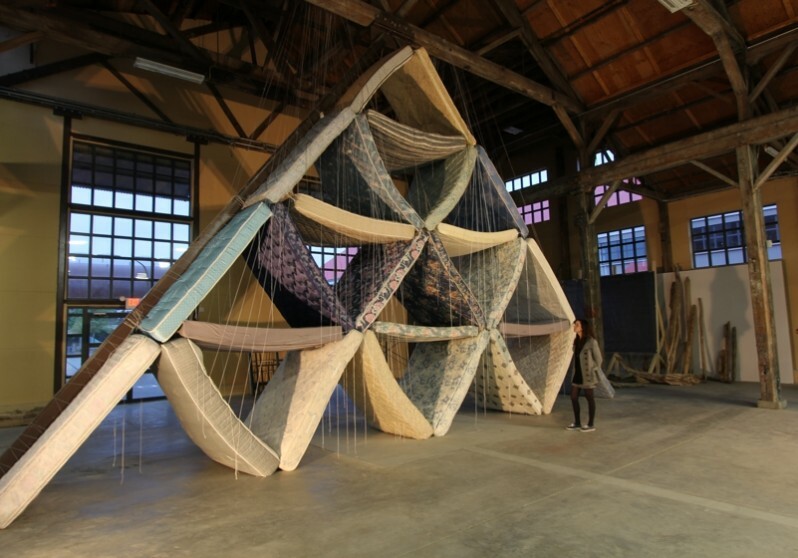 ‘This artwork was featured in the International Pavilion, which was open to the public between June and October 2014. Like much of García’s work, Castelo examined the effects of everyday objects suspended in air. 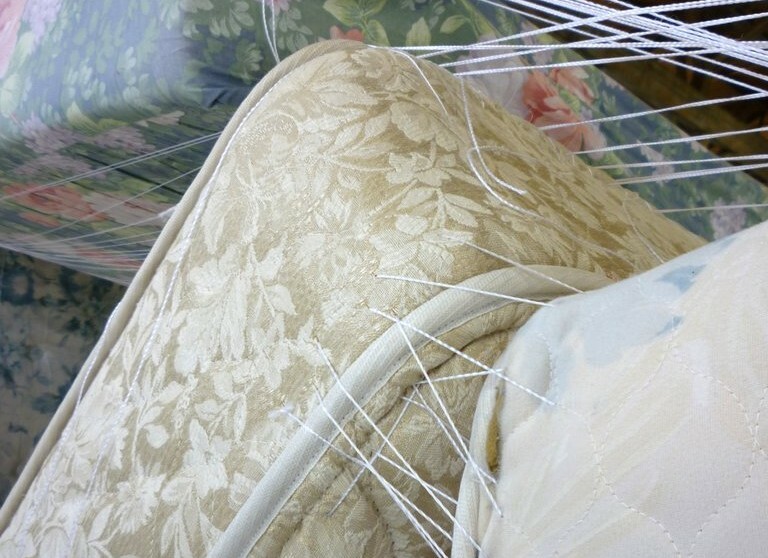 Common mattresses were stacked into an elaborate house of cards and supported by a nebulous web of thread. Central to García’s work is the notion of handcraft and the physical investment associated with fabrication. Sewing is typically considered a feminine pastime, necessitating a level of delicacy and discipline. However, for this project in 2014, manipulating the mattresses required a traditionally masculine strength. Through the complex balancing act of Castelo, García played with notions of gender. 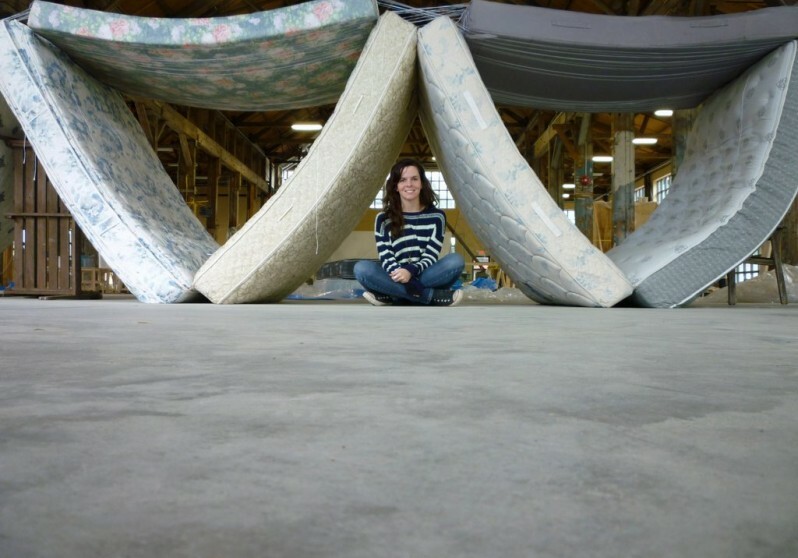 Inspired by the structure of the Pipefitters building, García sought twenty-six used mattresses, evoking their intimate aura of memories. 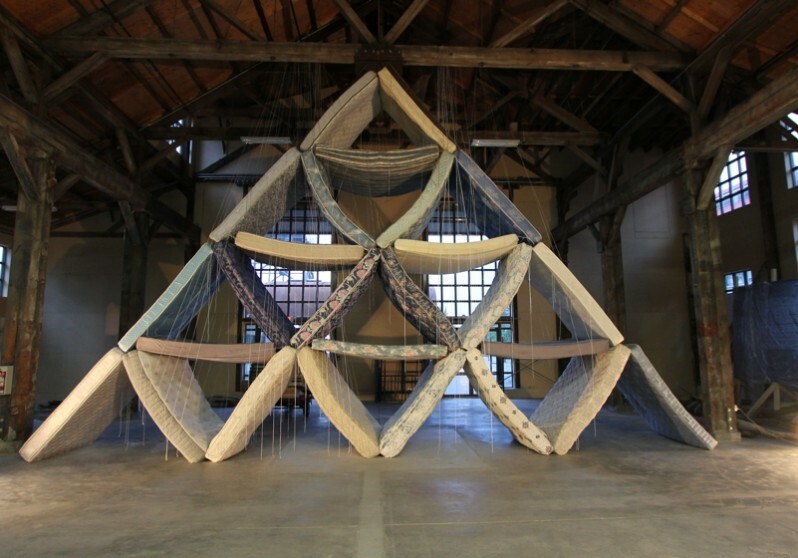 In sewing these mattresses together, she paid homage to the hidden histories of Vancouver’s generous strangers and commented on how a group of people had come together in the making of this installation.